Dr Varela graduated from The University of Sydney in 1994. After graduating he worked at Tony Mosca Dental Surgery in Liverpool NSW until leaving in 2000. He then moved to Cowra and worked at Cowra Dental Surgery until 2015. 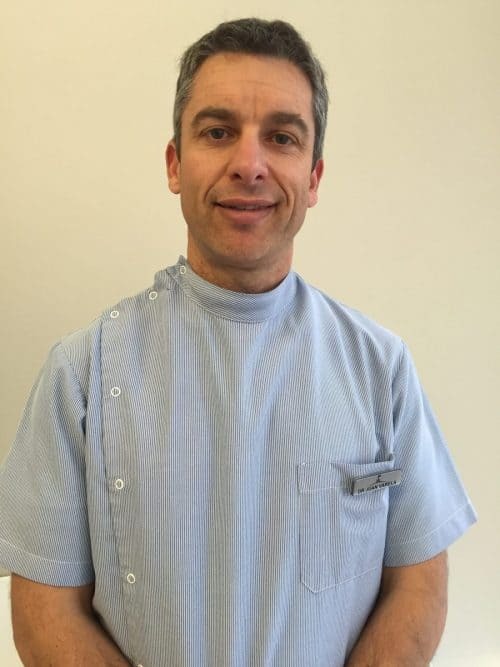 Dr Varela is a born and bred Canberrian, having attended Rivett, Cook and Hughes Primary Schools, Woden Valley High School and Narrabundah College. He returned in 2015 for his children’s education oportunities. He has been a member of the Australian Dental Association (ADA) since 1994. He is also registered with the Australian Health Practitioners Regulation Agency (AHPRA). He describes himself as a very conservative dentist who dedicates time to informing and educating the public. He prides himself of good communication skills as they are fundametal in dentistry. He sees dentistry is all about providing the best possible long-term result for each individual in a caring manner. Outside of dentistry he is a keen sportsman, in particular tennis. He is also happy to give anyone unwanted advice about the Stock Market. He is also fluent in Spanish.